We are one of the leading manufacturers of 11KV Vacuum Circuit Breaker Panel (11kV VCB Switchgears) that is known for high performance, rigid construction and longer service life. The panel is user-friendly and easy to operate. The panel is high in performance, provide accurate results and require less maintenance. Its reliable operating mechanism also ensure safety of the user. 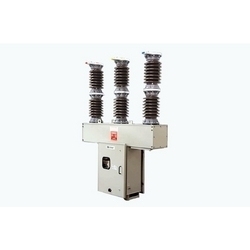 11KV Vacuum Circuit Breaker, HT Panel (Indoor Type) for protection of Transformer, HT Capacitor, Generator, HT Motor, feeder & line. Our clients can avail from us a comprehensive range of 11kV VCB Panel which are available in the rated voltage & current of 12 KV and up to 1250 A. These are highly demanded all across the world because of their longer service life and resistant to weather. Our products have 1800 mm of depth for single breaker and 1600 mm for multiple breakers. "All our VCBs are customizable, please call us to get your Vacuum Circuit Breaker built as per your requriement." We also make standard VCB panels as per the below specification. We are one of the leading manufacturer of 24kV Vacuum Circuit Breaker Panel manufacturer in India and specialized in Switchgear Panels ranging from 3.3kV to 36kV range of panels. We serve the industry with robust and compact, maintenance free 24kV range of VCB Panels. We offer standard and custom panels as per the requirement. MAX Switchgears offers 33kV VCB panels to its premium customers with free maintenance support for 1 year. 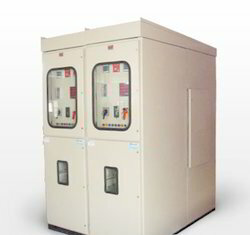 MAX range of "36kV VCB Switchgear panels" are suitable for all the industries focused on break free continuous customer focused service. 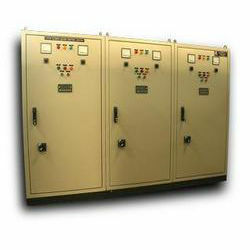 MAX offers 36kV Switchgear panels with standard and custom built as per the dynamic requirement of the customers. Refer below the standard specification before you call our marketing team for your custom/standard requirements. Note: The standard specifications vary from time to time as our products undergo continuous developments. We provide a wide range of Outdoor Panel With TVM Vacuum Circuit Breaker, which is suitable for outdoor installation. Any dangerous situation, which may result due to an electric exigency can be prevented using these panels. Our range of circuit breakers is suitable for medium range electric current. These systems are sturdy, durable and delivers consistence performance. Moreover, we offer these circuits to the clients at cost effective prices. 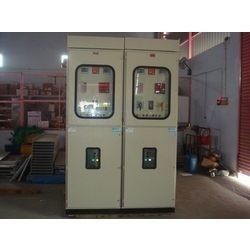 We offer Porcelain Clad Vacuum Circuit Breaker. Our organization provides a wide range of Vacuum Circuit Breaker with Outdoor Roof Bush Panel that can be installed on a plinth at an area adjoining the factory. The power is power in these circuit breakers is supplied through cable box or roof bushing or a combination of roof bushing and cable. The earthing in these circuit breakers can be performed either through integral earthing switch, slow closing type or with making capacity or through a draw-out earthing truck with solid links on the bus bar/feeder side. Our range of circuit beakers is cost effective and delivers consistence performance. Our organization provides 11 KV VCB Panel with 2000 KVA Transformers, which are capable of sustaining varied climatic conditions. 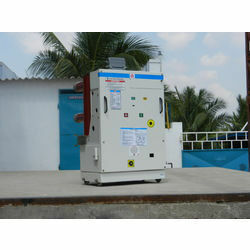 These panels are suitable for safe storage of transformers. Our range of panels is easy to install and highly durable. We also offer these panels to the clients at industry leading prices. 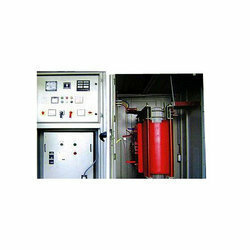 We are instrumental in offering 11 KV VCB Panel with Transformer, which comes with power alarm and motion alarm. Our range of panel finds application in electrical and power supply industry. We also offer these panels in different specifications such as GSM transformer protection and Voltage loss. 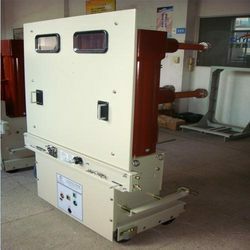 Looking for Vacuum Circuit Breaker ?